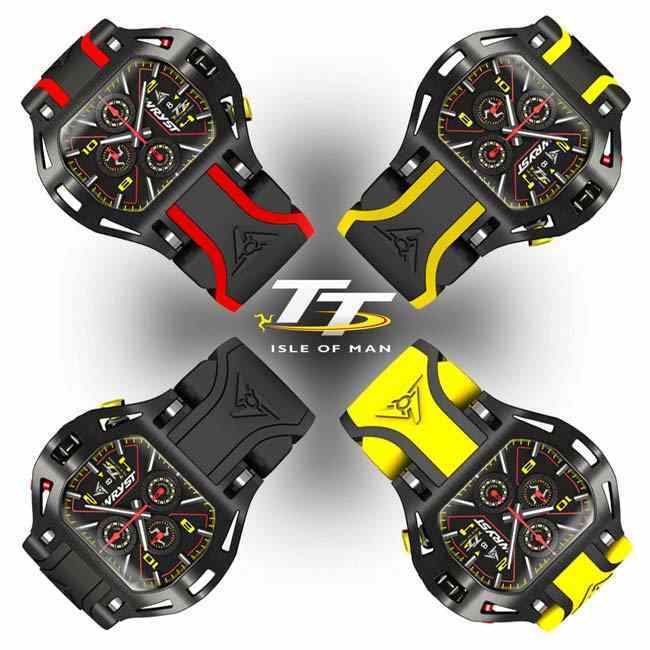 The new Luxury Swiss Sports Watch WRYST ISLE OF MAN TT Special Edition is now available and in stock. 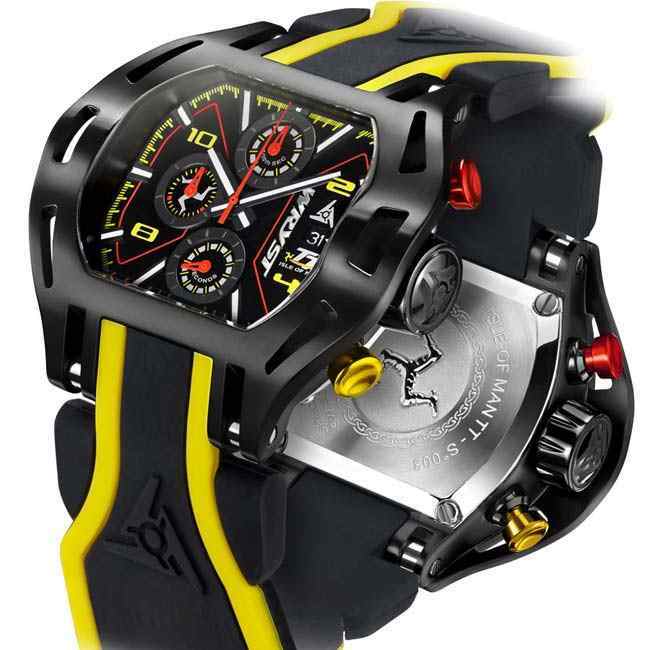 This exclusive sports watch produced in limited quantity is just as insane as the TT racers. An aggressive sports design is providing the TT watches an unparalleled look never before available in the watch industry. Tough materials and sapphire crystal are musts for this large 50mm casing. The Wryst Isle of Man TT watches are produced in limited quantity. We recommend buying this collectible Swiss sports watch while you can. Swiss watch brand WRYST celebrates the renewal of a unique partnership with the world's fastest road race - ISLE OF MAN TT - The most epic motorbike and sidecar tourist trophy. 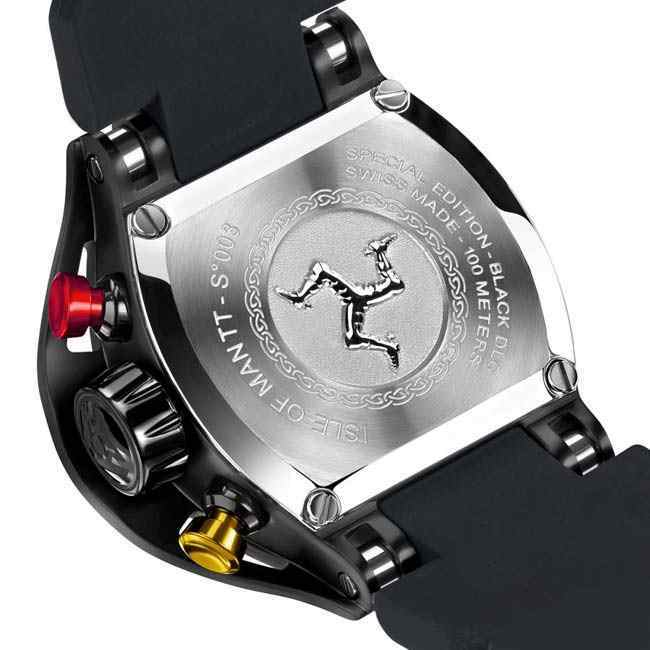 Wear an exclusive "piece of history" with this unique luxury Swiss sports watch Wryst Isle of Man TT. Following the immense success of the previous Wryst TT watch now sold-out and discontinued, the brand has designed a new bolder timepiece. Available only in special edition we would highly recommend placing an order now for this epic watch holding the quintessence of the world's most famous superbike and sidecar race. The ultra-sportive Isle of Man TT watch benefit of the world's most scratch-resistant black coating. The DLC (Diamond-Like Carbon) protection is the hardest way to protect black metal casing against shocks and scratches. This special edition produced in small quantities also has chronograph functions with the top pusher in red and bottom pusher in yellow. Racers will appreciate this function for timing themselves around the legendary Snaefell mountain race course. Every year at the end of May the public road of the isle of man is closed and the fastest pilots on earth can race in a frenetic atmosphere. A quality Swiss timepiece delivered in a luxurious wooden box with black leather lining. Manual and warranty certification of the watch can be found on the stylish USB card. 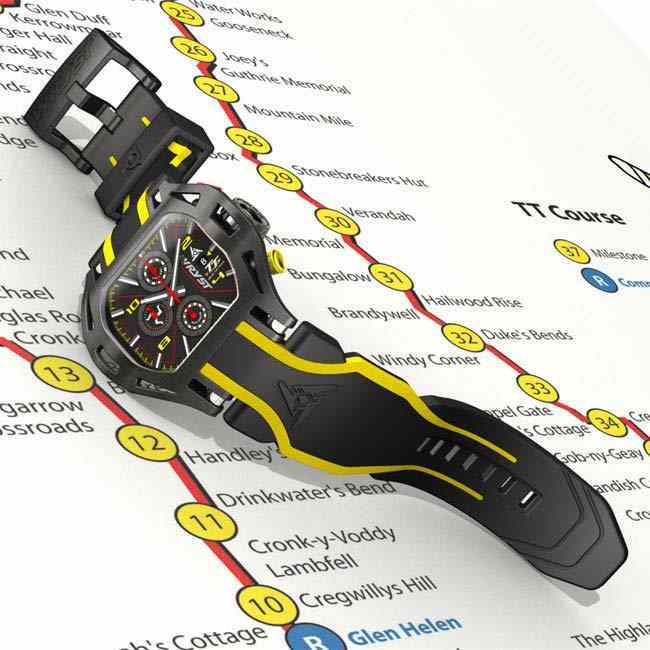 This sports watch benefit of a unique packaging designed especially paying tribute to the epic Isle of Man TT races. Several versions of the TT watch are available. Choose either the black/yellow bracelet, the yellow/black one, or an all-black bracelet for more casual feel.